ITB Asia 2017, Asia’s leading travel trade show, had completed its milestone anniversary event this October with record-breaking numbers at Marina Bay Sands in Singapore. The event hosted about 940 exhibitors from 113 countries, an 11% increase over the previous year in its 10th anniversary. 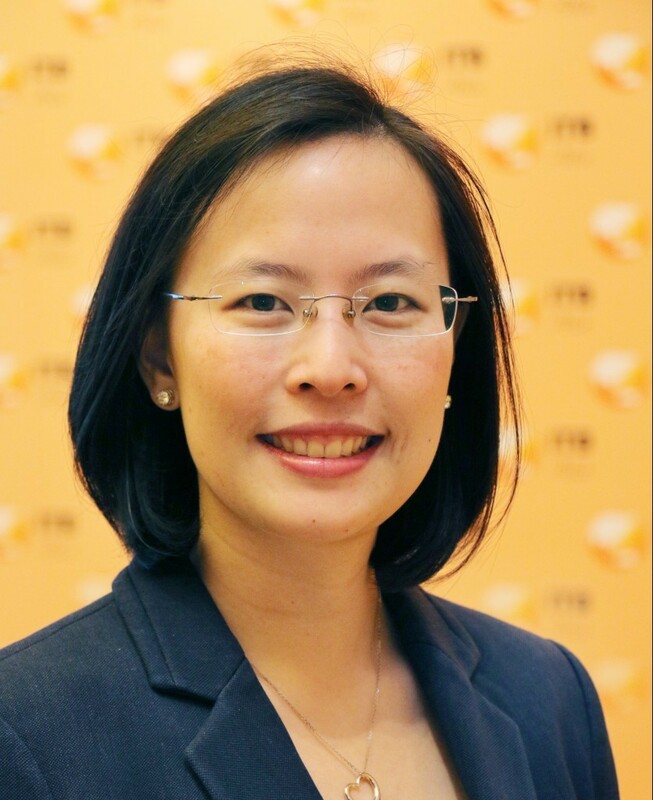 We spoke to Katrina Leung, Executive Director at ITB Asia, on what lies in store for the 2018 event and reflections from this year’s achievements. 1. This year’s theme at ITB was “The Future of Travel” – Can you give us some background about why did you choose this? While planning for our tenth anniversary milestone event, we looked back to celebrate our past achievements but we also wanted to glance ahead to the next ten years to provide attendees with a useful view to the future. We all know that technology and creativity are crucial to the travel, tourism and hospitality sectors as products and experiences can be showcased in the most effective manner. Technology will become even more vital to travel as it presents multiple opportunities for growth. Innovations such as Artificial Intelligence, virtual reality and beacon technology will be hugely impactful, and the brands that will do well in the coming years are the ones who will adopt these technologies and leverage their full potential. Indeed, Chatbots and voice-activated assistants are already helping airlines and online travel agencies handle transactions such as bookings and boarding passes. As consumers become more and more interested in the ‘experience economy’, it was important for us to give our delegates the conference content and exhibition experiences to inspire them to make space for technology in their marketing strategies. And I believe we have achieved and surpassed our objectives – this year at ITB Asia 2017, we delivered the most comprehensive programme of presentations and discussions to date, clocked over 6,140 conference minutes, and our strongest line-up of speakers featuring industry heavyweights from the travel and tourism sector. 2. From a number’s standpoint, ITB Asia is currently one of the largest B2B travel-trade shows in Asia. With growth of travel-trade shows in other Asian countries, how do you see ITB Asia gearing up to competition. ITB Asia remains the largest and most international travel trade show event in Asia. We welcomed over 11,000 delegates at ITB Asia 2017, an increase of 11% of exhibitors over the previous year, and our strongest ever buyer participation across the Corporate, MICE and Leisure sectors. We also recorded over 22,000 business appointments during the show. The immense popularity of the show is evident. At this early stage, ITB Asia 2018 has already received the highest exhibitor rebookings from destinations such as Greece, the Middle East, Africa, Spain and Scandinavia, as well as continued strong support from Asian markets. It is the substantial growth in exhibitors that underlines how ITB Asia has firmly established itself as the leading industry event in the region. Indeed, it is the Asian outbound market that continues to attract huge interest and we are delighted to see such levels of growth from various key markets at the show this year. We continue to pride ourselves on our focus on quality and the customer experience, placing them front of mind with every decision and direction we take. Our strong partnerships with leading organisations such as , the Korea Tourism Organisation and new buyer partners such as the National Association of Independent Travel Agencies (NAITAS) and the Malaysian Association of Tour and Travel Agents (MATTA) also help us leverage the show, maintain our reputation and sustain these valuable relationships. 3. Unlike other B2B travel-trade events, ITB Asia has a strong focus on seminars, panel-discussions and workshops. This year’s line-up of speakers include a stellar range of speakers from Google, CTrip, Tripadvisor. How do you see this growth? We are proud to have put together such a rich and diverse conference programme, which is only possible with the continued support from the global travel industry. This is testament to the show’s expanding role as an important platform to bring all the different stakeholders in the travel and tourism sector together. For ITB Asia, it has been important to continue developing our seminars, panel-discussions and workshops and focus on a variety of topics to cater to all attendees and help to generate valuable business opportunities and key stakeholder relationships. This year, the three-day conference presented an extensive programme of presentations and discussions, and is the most comprehensive line-up to date with over 6,140 conference minutes compared to just half of that in 2013. We hope everyone who attended this year’s show enjoyed and benefitted from engaging with the influential and exciting speakers on the most current and pressing topics in the industry. 4. You also had InnoVel as well as Israeli startups showcasing their value proposition. Can you tell us about your association with them? Yes, we launched an exciting innovation travel technology track hosted by Israeli startup InnoVel which seeks to connect travel companies with cutting-edge start-ups. This is our first year working together, and we agreed to the partnership right away after we recognised that there would be the right alignment and synergy. For us, we are always looking to increase the diversity of speakers and delegates at our events, and to be more inclusive by including interesting and disruptive start-ups at ITB Asia. InnoVel’s start-ups are looking to tap into the Asian market, and they chose ITB Asia as the right platform for them to do so. 5. This year, the Singapore Tourism Board has also adopted a new campaign theme “Passion Made Possible”, as a partner country do you see this impacting ITB Asia’s delegate participation in a positive way. The new campaign, under the theme “Passion Made Possible” highlights the opportunities that Singapore presents and how it is the place where one can turn creative ideas into actual concepts that are successful. It is this very spirit of Singapore that has played a key role in making ITB Asia a great success over the past decade, driven in large part by the support we have received from various stakeholders in Singapore. 6. What else lies in store for delegates coming to ITB Asia 2018? ITB Asia 2018 will be held from 17-19 October 2018 at the Sands Expo & Convention Centre, Marina Bay Sands. Following this year’s successful show, ITB Asia has received the highest exhibitor rebookings from ITB Asia 2018. As early as now, the surge in interest for next year’s show has been seen from destinations such as Greece, Middle East, Africa, Spain and Scandinavia as well as continued strong support from Asia markets. Clearly, the show continues to grow every year. For our conference segment, we will look to explore exciting new industry verticals and attract industry experts and thought leaders to present and engage with audiences.